← What To Do About Smashed ‘Stop For Pedestrians’ Pylon In Downtown Princeton? If you like drinking coffee in Princeton, you are already pretty spoiled with Small World and Rojo’s Roastery, but your options are about to get even better! 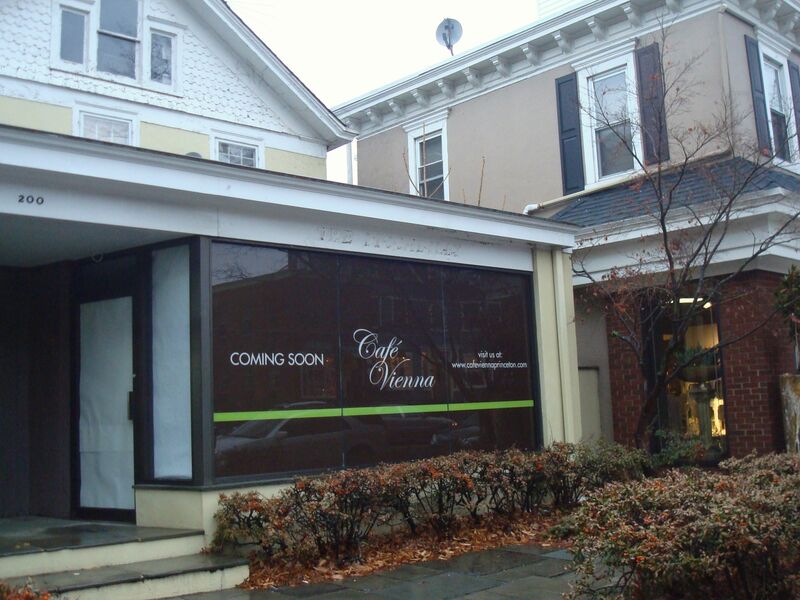 A new café looks set to open on Nassau Street, in Princeton’s walkable downtown core.‘Café Vienna’ is slated to open in the place of the old ‘Piccadily’ womens-wear store, which closed December 31, 2012. The address will be 200 Nassau Street, next to the Morris Maple paint store, in the block between Vandeventer and Moore Street. Although there is no date for an opening just yet, Café Vienna has a website here where you can sign up for email updates, and a Facebook page where you can ‘like’ Princeton’s newest walkable business. We are promised ‘cakes based on my family recipes – passed down by generations. It includes Sacher, Topfen and Marzipan Torten, Apple Strudel and Black Forest Cake – to mention just a few’. That all sounds pretty tasty, so we’ll be keeping an eye on this space on future strolls around the town! How much are you looking forward to this new opening? Can Princeton support another coffee place? Let us know in the comments below! This entry was posted in Downtown Vibrancy, Princeton and tagged Princeton. Bookmark the permalink. Don’t forget that the downtown Starbucks also has a Clover machine that brews single estate coffee. Not all of them have this, and that makes it a special coffee destination too. But if Princeton can support three ice cream shops, I have high hopes for another high-quality coffee joint.